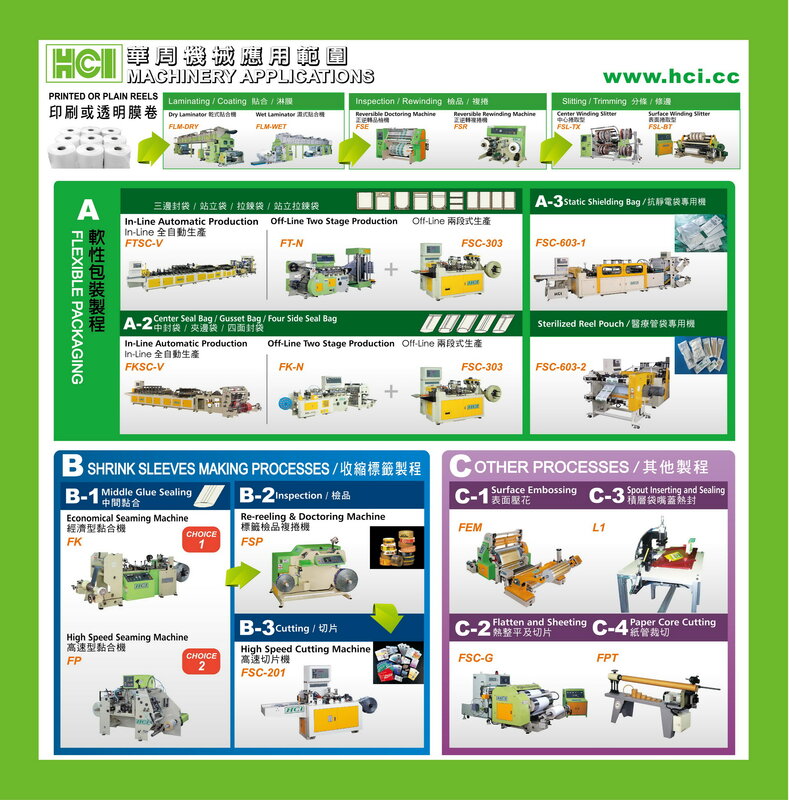 FAQ - HCI Converting Equipment Co., Ltd.
What is the application for HCI machinery. How long is the HCI Machinery Warranty? Warranty is one (1) year after the machine be installed at buyer's factory or fourteen (14) months after the machine be shipped from Taiwan (b/l date) whichever is earlier, providing that such malfunction or defective part excluding consumable, damage caused by human error, mishandling, wrong handling and nature disaster. What about HCI After-Sales Services and how it Charge? We have an excellent services team to serve you in the future, Mrs. Jean Liu is the person in charge. Please refer to the Article of After-Sale Service of HCI. Is the price including on-site installation? The price is not including on-site installation; please inform us if you need the install service. Do you have any customer in this area that has the same machine and would let our customer go to the plant to see them? Most of customers are not willing to show his factory to competitors, we can try to arrange it but not commit it. We will provide the video of machine in operation for client's evaluation.